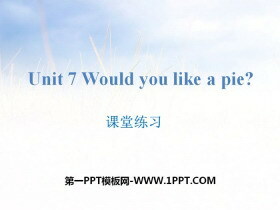 unit7Would you like a pie? 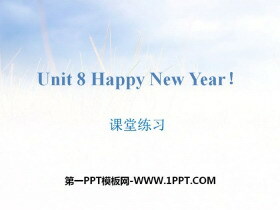 《Happy New Year!》课堂练习PPT 第一部分内容：词汇练习 一、根据汉语提示给下列单词或词组分类。 cake skirt robot ball egg cap jacket toy car hot dog 食品类 cake， egg， hot dog 服装类 skirt， cap， jacket 玩具类 r..
《Would you like a pie?》PPT(第二课时) 第一部分内容：Introduce Do you like an ice cream ? Would you like an pie? No, thank you. 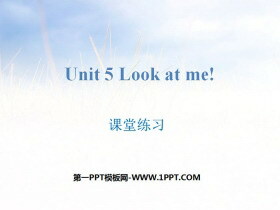 Yes, I do. Whats this ? 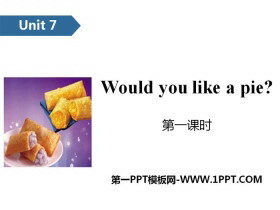 Would you like? Yes/No, Do you like? Yes/No, Whats this ? 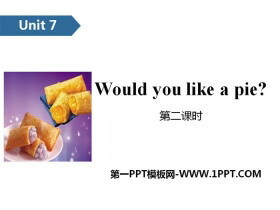 ..
《Would you like a pie?》课堂练习PPT 第一部分内容：词汇练习 一、写出下列单词相应的小写形式和它们的汉语意思。 1.EGG_________ ( ) 2.CAKE_________( ) 3.PIE_________ ( ) 4.SWEET_________( ) 二、英汉互译。 1.一个鸡..
《Colours》PPT(第二课时) 第一部分内容：Introduce Look at my skirt. It's blue. What colour is my cap now ? It's black. It's blue and black. 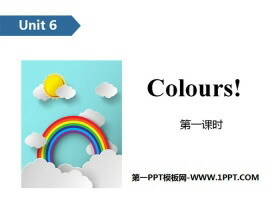 Look at Its What colour is ... ... ... coloursPPT，第二部分内容：Words ..
《Colours》PPT(第一课时) 第一部分内容：Introduce Look at my skirt. It's orange. What colour is my skirt now ? It's green. It's red and yellow. 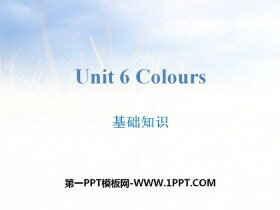 Look at Its What colour is ... ... ... coloursPPT，第二部分内容：Wo..
《Colours》课堂练习PPT 第一部分内容：词汇练习 一、写出下列字母的左邻右舍。 1. _____Ss_____ 2. _____Rr_____ 3._____L_____ 4. 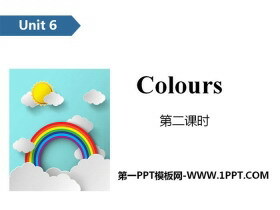 _____f_____ 5._____j_____ 6._____B_____ 二、将下列短语翻译成汉语。 1.a white cap______..
《Colours》基础知识PPT 第一部分内容：重点单词 1.colour 颜色 2.orange 橙色的 3.green 绿色的 4.yellow 黄色的 5. black 黑色的 6.blue 蓝色的 7.brown 棕色的 8.white 白色的 9.egg 鸡蛋 ... ... ... coloursPPT，第二部分..
《Look at me!》PPT(第二课时) 第一部分内容：Introduce Look at my T-shirt. 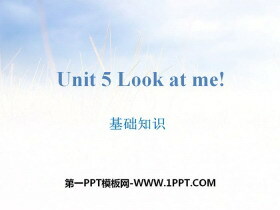 Its nice/great. Look at my skirt. How nice. Look at my cap. Look at Its nice/great. 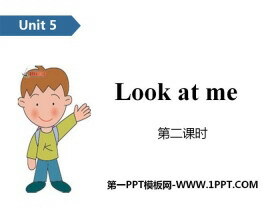 Look at How Look at ... ... ... Look at me!PPT，第二..
《Look at me!》PPT(第一课时) 第一部分内容：Introduce Look at my T-shirt. Its nice/great. Look at my skirt. How nice. Look at my cap. Look at Its nice/great. 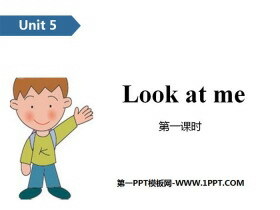 Look at How Look at ... ... ... Look at me!PPT，第二..
《Look at me!》课堂练习PPT 第一部分内容：词汇练习 一、选出与所给词属于同一类的选项。 ( ) 1.T-shirt A. jacket B. me C. at ( ) 2.nice A. skirt B. great C. look ( ) 3.cap A.how B.it C.skirt ( ) 4.she A.my B.he C.m..
《Look at me!》基础知识PPT 第一部分内容：重点单词 1. 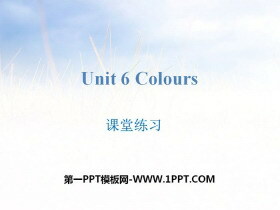 T-shirt T恤衫 2. skirt 裙子 3. cap 便帽; 帽子 4. jacket 夹克衫 5. it 它 6.nice 好看的; 好的 7.great 好极了; 很好 8.new 新的 9.red 红色的 ... ... ... Look at ..